You know how impossible it seems to heal at times? How some people live in fear of never being able to heal their pain and end up relying on drugs and surgery to survive? Well, Peter has healed himself of everything from chronic anxiety to arthritis, asthma, fibromyalgia, depression, sciatica, and he’s died before and come back to a body wracked in pain, a mind trapped in fear, and a spirit broken. He’s healed from all this and more and he can help you to do the same. Several years ago, Peter was slammed into the back of a parked semi-truck. He jumped out of his body just before the impact and watched as his body hit the truck and bounced out into the street. In that moment he knew he was dead. As he curiously watched his body noticing the broken bones he felt an incredible sense of love begin to fill him up. He wasn’t concerned about his crushed body and in a split second he was hurtling down a spinning tube of white light that deposited him in Heaven, or someplace even better that was pure light and love. Eventually Peter met with a guide from the other side who told him he wasn’t supposed to be there and that he had to go back. In that moment all that love he had been filled up with was suddenly gone and it was replaced by anger. In the next second he was once again floating above the accident scene and watching the paramedics pick up his body, load it into the ambulance, and watch it drive away. Peter knew his body had been severely damaged and he didn’t want to go back into it. Some time went by and his next memory was being back in his body and waking up in the hospital emergency room. Peter lived the next several years in chronic pain not just in his body but in his heart. He felt that he had been kicked out of Heaven and in his misery he often thought about suicide but could never do it for fear that Heaven would reject him again. After much healing, physical, emotional, and spiritual, Peter has come to the understanding that it just wasn’t his time yet. 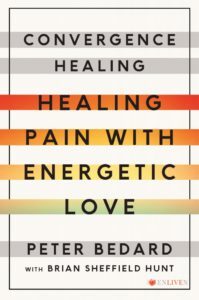 He discovered that he could heal, even his broken heart, and that the process of healing that Peter used in his recovery could be translated and shared with others and Convergence Healing was born. With a MA in Consciousness Studies and his extensive training in Hypnotherapy Peter has helped thousands of people heal. He is a consultant at the Huberman Lab at Stanford University and an international speaker. 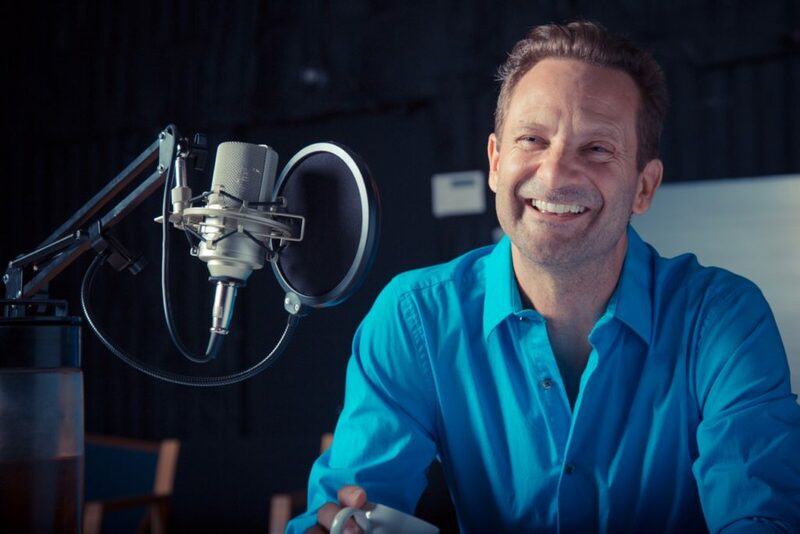 Through his expertise working with anxiety, addiction, and pain (physical, emotional, spiritual) Peter has developed a tried and true process for creating your own path to wellness, Convergence Healing, and he can help you too (www.ConvergenceHealing.com). With this understanding he has created a thriving one-on-one private practice, workshops, and talks. He teaches around the world and he has an online healing tea store, Convergence Healing Teas, that is filled with delicious healing herbal blends that share the traditional healing qualities Mother Nature has for us through roots, barks, leaves, flowers, spices, herbs, and teas. This is yet another way that Peter brings wellness to people. His lovingly crafted teas can be found at www.ConvergenceHealingTeas.com. You can also find Peter’s book, “Convergence Healing, Healing Pain with Energetic Love” published by Enliven Books/Simon & Schuster on Amazon, Kindle, Indie Bound, iBooks, etc. and at your neighborhood bookstore. Peter’s second book, “When Happiness is Work, A 30 Day Guide for Healing Depression and Creating Joy” will be out soon! There is a growing epidemic among us that is finally being talked about! According to the World Health Organization (WHO), depression affects around 350 million people at any given moment worldwide and its impact has a high social and personal cost. My goal in helping you heal your depression is to give you an inner strength that is unshakable; a strength that comes from your own inner life and not the outside circumstances of life or the world around you. When you heal within yourself the entire world becomes a better place. And your life becomes one of rich emotion, presence, and sustainable inner confidence. In this talk and interactive workshop, Peter shares his own personal story about healing depression and the process that he created to help restore balance, regain hope, and step into the throne of your life. Peter’s book, “When Happiness is Work, A 30 Day Guide for Healing Depression and Creating Joy” can be used as a companion to this talk. As an alternative therapist with a background in hypnosis and spirituality, Peter speaks from experience in this talk focused on befriending your pain and letting it guide you into wellness. After years of personal healing work and over a decade of working with individual clients Peter has learned that you can either be taen down by your pain and let it overwhelm you OR you can rise up and become greater than your pain. Whether your pain is physical, emotional, or spiritual (a broken leg, a broken heart, or a stressed out mind) you can learn to overcome anything and heal! Peter’s talk focuses on excelling through addiction, anxiety, stress, trauma, and depression and our own individual inner talent to heal. Peter’s upcoming book, “Your Pain is Your Cure, How Healing Your Pain Can Call You to Greatness” can be used as a companion guide for this talk.